The Trolley Christmas Express is coming to town on Dec. 7 to help you get in the Christmas spirit! Hop on the trolley on College Street (next to the Stadium Park Plaza parking garage) from 1:30-7:30pm for a fun start to your holidays. 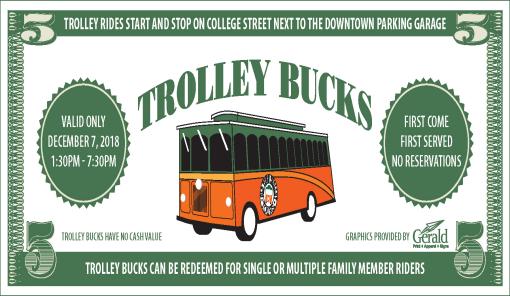 Print the below “Trolley Bucks” for your admission to this first come, first served experience. Trolley Bucks will also be available at several downtown retailers. Rides will last about 15 minutes. 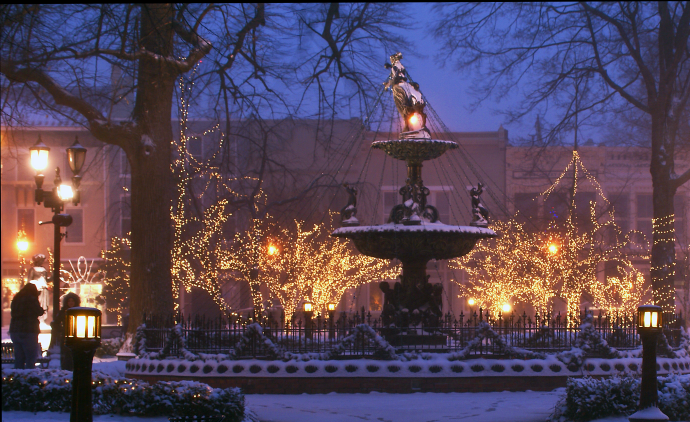 Plan on spending your afternoon and evening downtown so you can experience the open houses, shopping, and festivities leading up to Downtown Lights Up. Here are some of the other activities taking place in downtown BGKY on Dec. 7: The Elf&apos;s Market, The Best Christmas Pageant Ever, and the Bowling Green Gallery Hop. Visit our Events Calendar for more activities taking place this holiday season, or head over to the Holidays landing page for a comprehensive look at all the geared for fun happenings. Just make sure to make riding the trolley part of your holiday festivities!